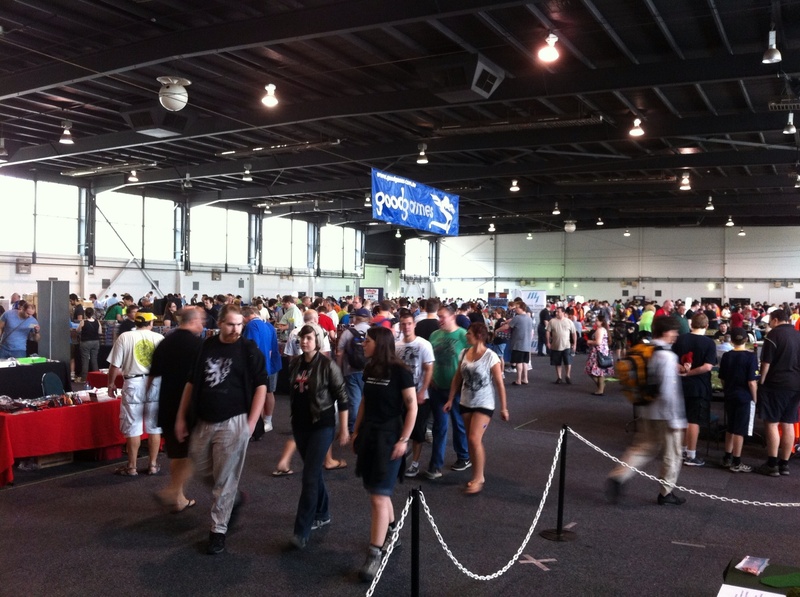 CanCon 2013 was on over the Australia Day long weekend in Canberra, Australia. Canberra is Australia’s capital and famous more for its circuitous roads ((you have never really been to Canberra until you have been lost at least five times coming off the same set of roundabouts)) than anything else. It is, however, a quite pretty country town. 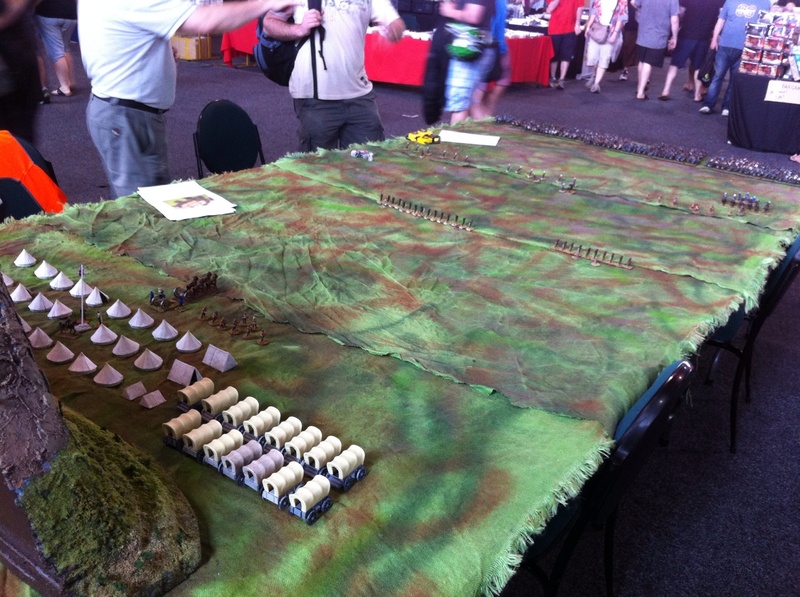 CanCon itself it put on by the Canberra Games Society every year at this time and is the largest game convention in Australia. As such it deals with all manner of recreational board games and similar. These include wargames, card games such as Magic the Gathering and other board games. There are normally a number of demonstration or participation game for folks to try out as well. I took three days holiday from the office and headed off to Canberra. The trip to Canberra was an interesting experience for me. I’ve had the lady flying Scoot before (it is cheap after all) but this was my first experience on Scoot so I was curious to see how it went. The flight left at 2:00 am Singapore time and arrived at 12:55 pm Sydney time. 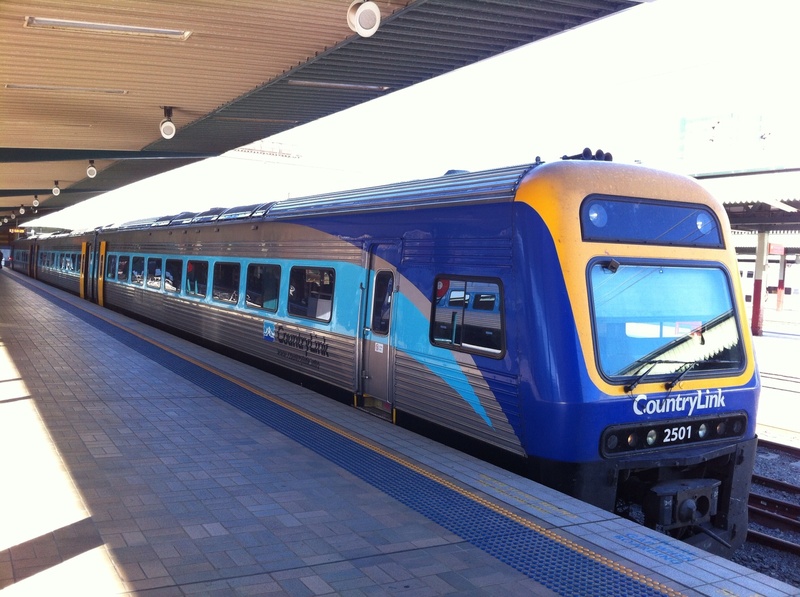 I then had to get from Sydney airport to Central Railway station, meet the lady and then catch the 6:11pm Explorer service (train) to Canberra. It arrives around 10:30pm (1:30 am the next day Singapore time). Yep, 23.5 hours travel, Singapore to Canberra ((Aussie and New South Wales politicians note – major Asian capital to Australia’s capital city – nearly 24 hours)). Scoot was OK. As I had not booked any in flight meal (I had heard it was very ordinary), I sat at Cedele at Singapore airport Terminal two and enjoyed sandwich and a soup which got me through to Sydney quite well. The good thing was that as I wasn’t eating on the fight at all and as there is really no inflight entertainment unless you pay extra for it, I was able to pretty much sleep all the way to Australia. More on the Scoot flight later (and the seating size there). We arrived in Canberra to the cool evening air after a hot baking kind of day. CanCon 2013 started around 8:30am the next morning. Doug was organising the DBMM competition so we left early to give him organising time. My games did not come around until Sunday and Monday. There were number of traders there although not nearly as many as in the UK shows but a reasonable number for Australia. Four or five figure suppliers along with a similar number of board game sellers were all plying their trade. Milsims was not there unfortunately and at least one second-hand figure seller was also missing. There were a couple of great participation or demonstration games. Particularly impressive was the Zulu one. 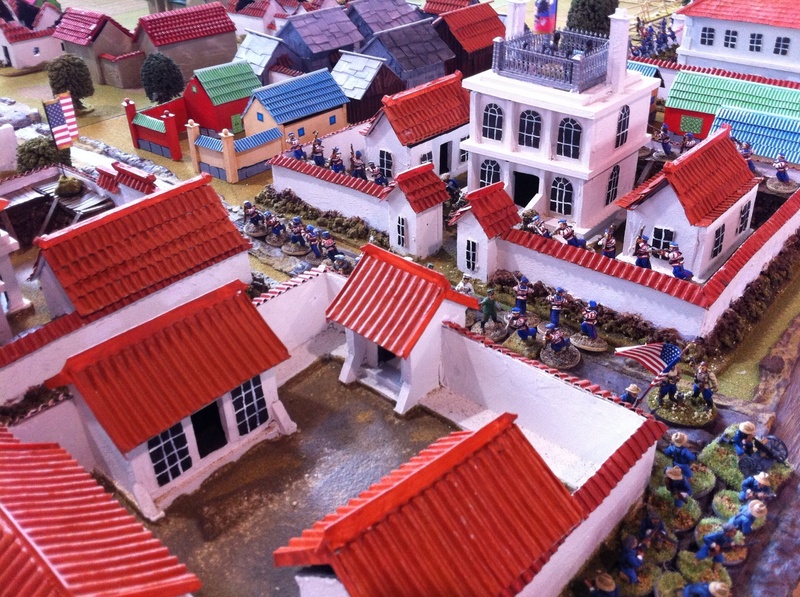 I was also impressed with the Boxer Rebellion game – Peking never looked so good. 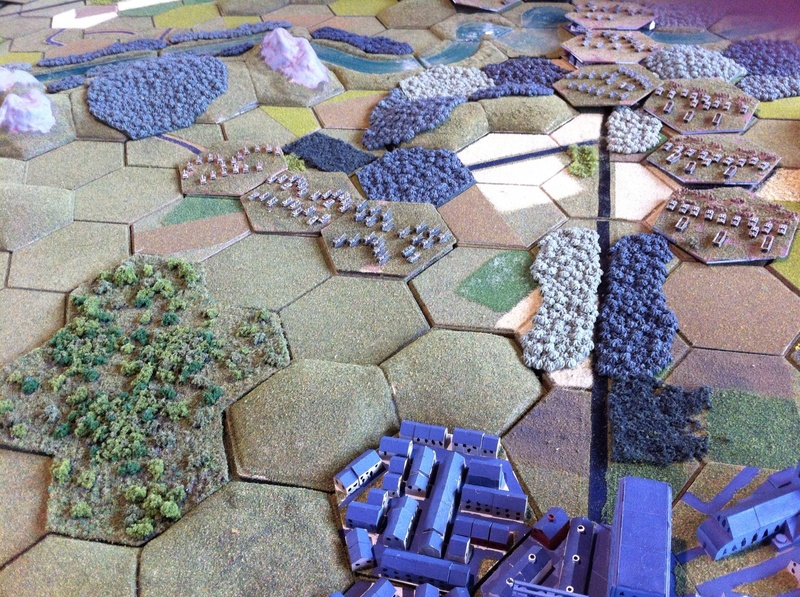 Another game that caught my eye was the 3mm modern warfare game played across GeoHex terrain ((I think the terrain was GeoHex -if not it was something very similar)). Even the 3mm armour was based on the same sized hexes and therefore represented a full company I think. The Wings of War (now Wings of Glory) folks had a couple of participation games on covering World War One and World War Two aerial combat. The zeppelin model they had there was so impressive – almost a metre long. There was also a “games library” where for a fee you could sign up and sit in a separate area and borrow games to try. This was very well attended and appeared full for most of the time. That area is also used to promote the local games society which is constantly buying new games for the library. I avoided buying much – just a copy of Maurice (wargame rules) from Nic at Eureka Miniatures and some flowers for decorating bases. I also managed after much searching to find some 15mm gabions (the last packet) for Anthony. The second and third day at CanCon were game days for me. The Worlds for DBA. I’ll do a separate AAR for that later. Let me note here that at the end of the first day I was 4 wins from 6 games and one win (8 points) behind the overall leader. I was sitting in 6th place out of 24 gamers. Team Singapore was doing well. You will need to wait for a later post covering the actually DBA competition and the final results of that. One of the nice things with the DBA competition is that there is a kids competition there as well with a couple of volunteers working with the kids to help develop the hobby. Well done for that. I must admit that apart from a broken coffee machine causing long queues at the only surviving machine in the place on the second day (soon remedied – by the third day as an additional coffee cart as wheeled in) the show went very well. If you are into games and can get to Canberra in late January, it is well worth attending, especially if playing. The last packet! Wow those are going to cost me a beer or three. Thanks mate…my 7YW and Napoleonic projects thank you.